Tomatoes are one of the most popular backyard garden veggies. 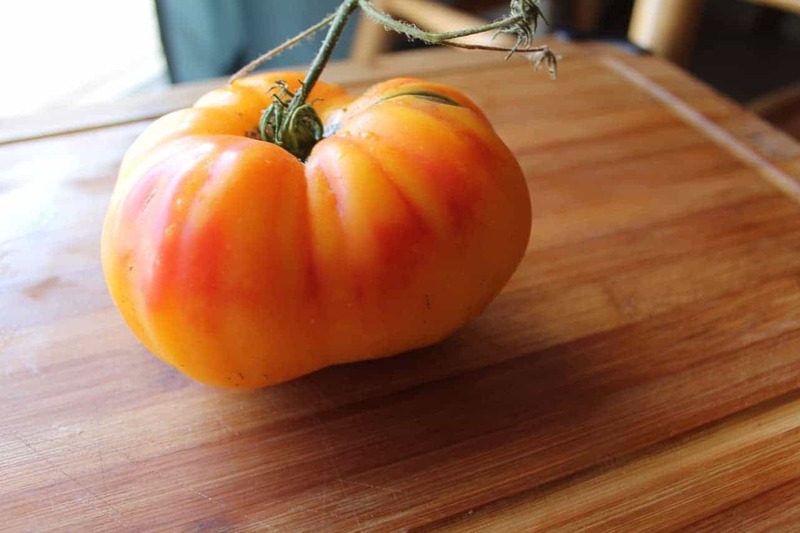 There are many wonderful heirloom tomatoes to try, and fun trellises or tomato cages you can grow them in. 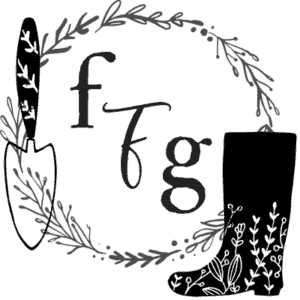 But what plants should you grow with your tomatoes? The goal with tomato companion plants is to deter pests, increase tomato yield, create better tomato flavor and make good use of garden space. This planting method is called underplanting or interplanting, where you plant crops around or under a larger plant. You harvest these plants before they need the space. These plants don’t deter any pests necessarily (the ones that do I mark with a *) but you’re making great use of garden space and harvesting extra crops. Some common tomato pests are the tomato hornworm, aphids and Colorado potato beetles. You can help deter these pests with strong scents. Many of the plants like herbs or flowers that claim to deter pests may not have scientific evidence, but many gardeners swear they work. Calendula flowers can help to attract pollinators. 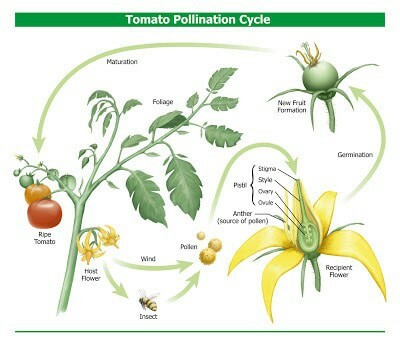 Although tomatoes don’t need pollinators to produce fruit, yields increases with increased pollination. 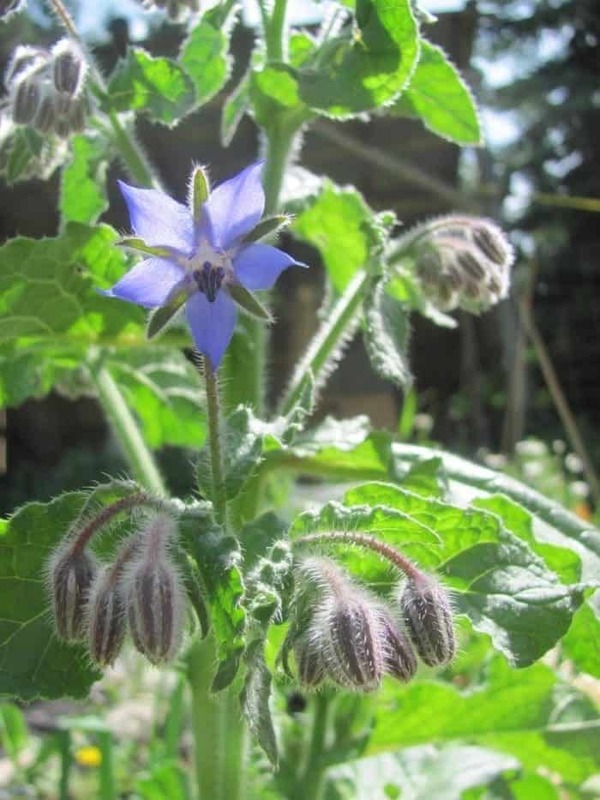 Borage is said to deter tomato hornworms. 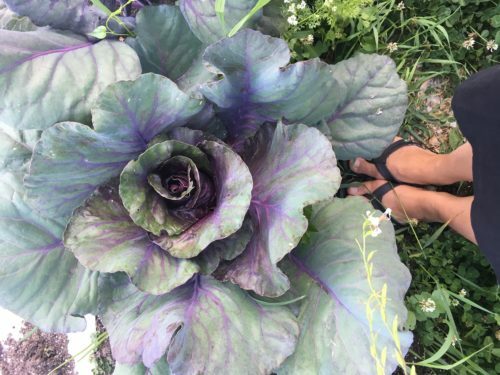 It has pretty purple blue star shaped flowers and has a mild cucumber taste. It’s one of the edible flowers. Garlic, Onions, Shallots, Chives these plants are great to grow around or close to your tomatoes for scent deterrence. Onions are well known for deterring most pests. 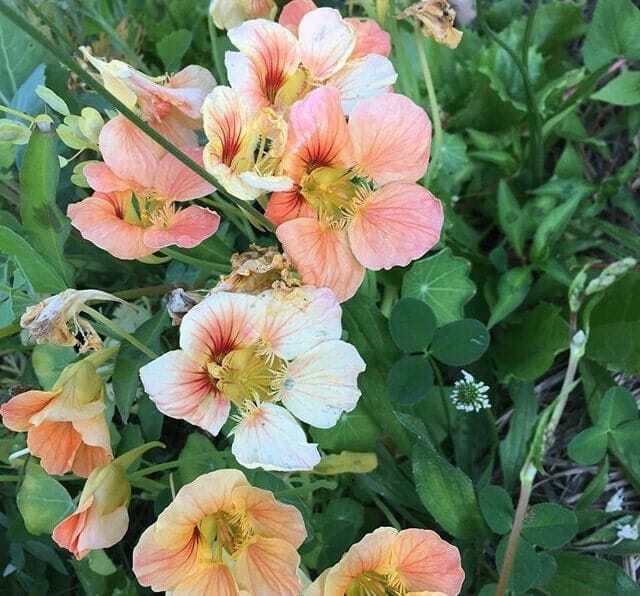 Nasturtiums help to deter aphids away from tomatoes. They look gorgeous too around your tomato plants! Carrots? 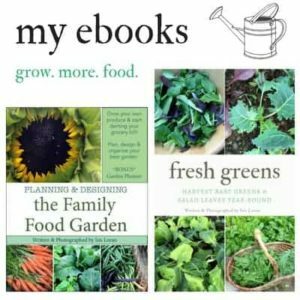 There’s a companion planting book that’s called ‘Carrots Love Tomatoes’. Apparently carrots taste better grown next to tomatoes, although they will compete for root space if too close. I can vouch for carrots being great to attract ladybugs that eat aphids. Flowers to increase pollination like zinnias, chamomile or short annulas. Sweet alyssum attracts beneficial insects. 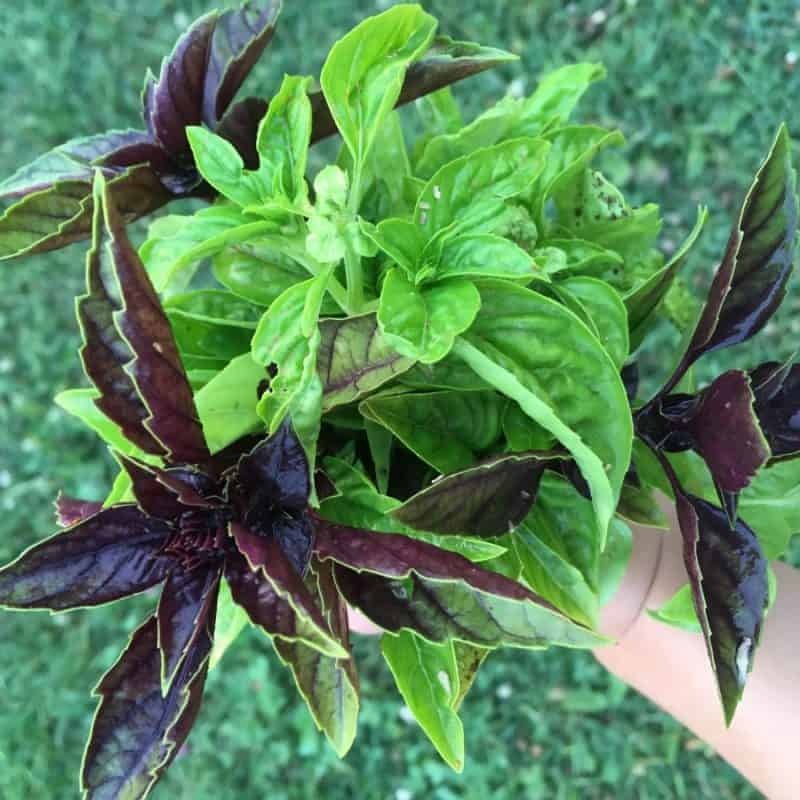 Herbs that are strong smelling like oregano, thyme, dill, chives, cilantro. Some of these are annuals, some are perennials. Corn, fennel (stunts growth), Brassicas (cauliflower, kale, broccoli etc). 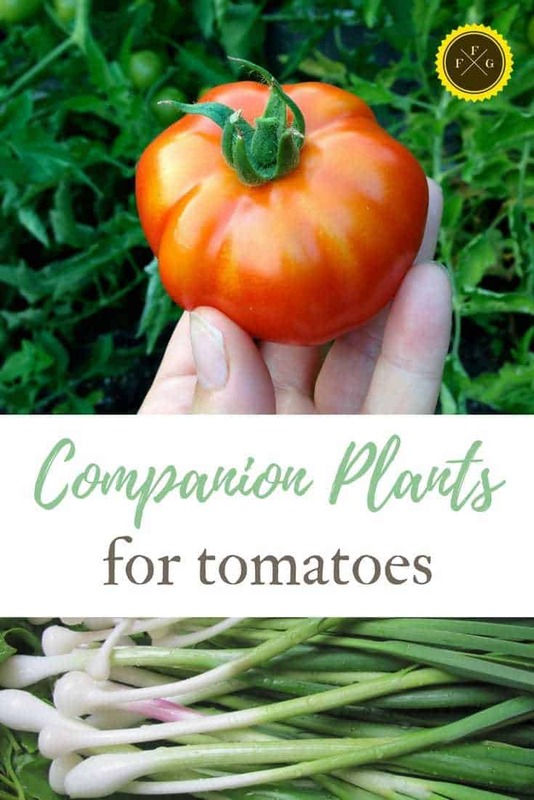 What are your favorite tomato companion plants? This is great! I will be planting some of these around my tomatoes! !